Last month the Golden Globes kicked off the Hollywood awards season. Even though Golden Globe winners have gone on to win the Oscar only 40% of the time, some believe that because of their Globe wins, La La Land and Moonlight have the inside track on winning the Oscar. To get the biggest lift in revenue, movies tend to be released and distributed in the last months of the year so that award winners can benefit the most from the big award shows as well as disc and online sales (historically 56% of Oscar nominees are released in November and December). Advertising on the Oscars broadcast brings in a big payday for the network that carries the show. For the February 26, 2017 telecast, ABC is selling a 30-second commercial spot for $1.8 to 2.2 million. According to IBIS World, the best picture winners over five years (2008 through 2012) earned $13.8 million more after winning the award than nominated films that did not win. Winners earned 50.2% of box office revenue before being nominated, 31.8% after nominations and before winning, and 18.1% after winning. In Hollywood, talent agents and managers estimate that their clients will get a 20% to 60% boost in pay for their next film if they win the award for Best Actor or Actress - depending on the base they start from. According to writer and producer Stephen Follows, best actor winners can expect a $3.9 million pay boost, whereas best actress winners average a $500,000 increase. Because she was relatively unknown, Jennifer Lawrence doubled her pay after winning her first Oscar and joining the A-list of movie stars. Even though winning the Oscar does wonders for movie careers and box office receipts, there is often considerable benefit in just being nominated. Nominated films earn an average of $12.7 million more than films that are not nominated. Per IBIS World, movies nominated for the Best Picture Oscar from the 2008 to 2012 awards seasons had an average production budget of $56.9 million and earned $127.7 million in box-office revenue for a profit margin of 55.7%. This is a significantly greater profit than the industry's average of 7.5%. Nominated films that did not win earned 83.1% before being nominated, 14.1% after their nomination, and 2.8% after the awards show. Award nominations can also mean the difference between profits and bankruptcy for some movie productions. This is why marketers go to great lengths to promote their movies for the Oscars long before the nominations are announced in January -- spending from hundreds of thousands to millions of dollars. Studios spent between $5 and $15 million promoting their films ever since many believe that the marketing spend by the Weinstein Company is largely responsible for securing an upset win for Shakespeare in Love over Saving Private Ryan in 1998. In 2013, the Oscar marketing strategy paid off when Argo won best picture after Warner Brothers invested an estimated $10 million to promote the film. The previous two years, the Weinstein marketing magic is credited with securing a Best Picture win for the Artist in 2012 - a silent, black & white, subtitled film and The King's Speech in 2011. In the 20 years prior to 2012, the film with the most nominations has won 15 times. This bodes well for the pictures with the most nominations this year - La La Land (14 nominations and tied for the all-time record) and Arrival and Moonlight (tied with 8 nominations), followed by Hacksaw Ridge, Lion, and Manchester By the Sea (tied with 6), and Fences and Hell or High Water (tied with 4). 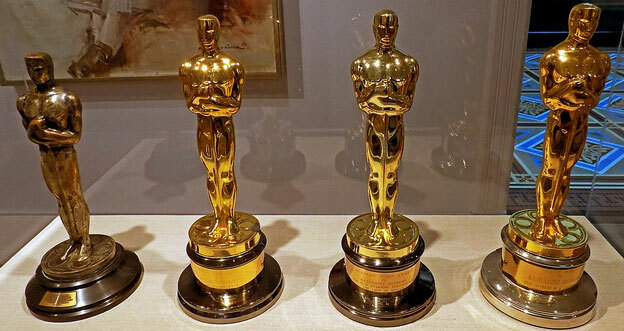 Whoever wins the Oscars during the 89th Oscar Awards broadcast on February 26th, one thing is certain - the Oscar brand is alive and well in spite of the controversies of last year. Veteran movie marketers that know how to capitalize on the brand image of this famous statue can enhance their own brands as well as their bottom lines. Hope you enjoy the show.